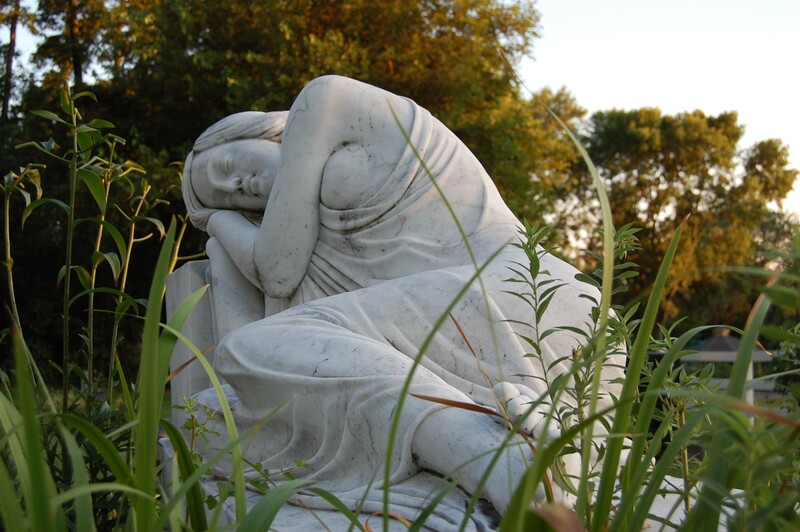 OAKLAND CEMETERY, Iowa City—What do you see in her? I am amazed at how many of you are drawn to this photograph of The Reclining Lady with her soft white curls and gentle curves. She touches something inside you. She lies a little apart from the other stones in her cemetery, separated from the poets and ghost stories. I call her a lady, but if she is an angel, I do not envy her her tragic assignment, guarding the souls of a father and son who barely knew each other. In the early 1990s, air force psychiatrist Thomas Brigham and his colleague Alan London of Fairchild AFB in Spokane, Wash., found Dean Mellberg unfit for duty. Though Mellberg was reassigned for some time, it became obvious he did not have the mental stability to continue in the forces and was dishonourably discharged. It wasn’t enough. Warned, yes, but staff of the base hospital could not have known Mellberg, after a night of carousing at an adult nightclub, would get in a cab carrying a bag with two assault rifles, then walk right through the hospital’s front doors to London’s office and shoot him to death. 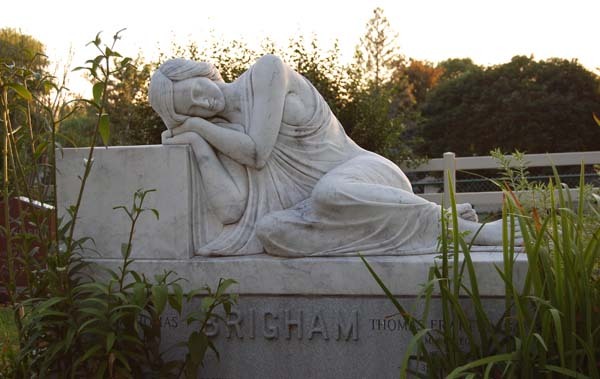 Brigham was the victim of Bullet No. 2. An 8-year-old girl, a middle-aged woman and a young woman’s fetus were the next to die. More than 20 people were wounded before Mellberg was shot to death in the parking lot. It was 1994 and Brigham was 31 years old. He left behind his wife, daughter and 6-year-old son, Madison Thomas Brigham. Madison died in a car accident on a rural road in 2004. He was 16 years old. It’s hard to know him, going on little more than his obituary, which paints the picture of a determined young man known for his love of the outdoors, hard work on the tennis court and fascination with American history. 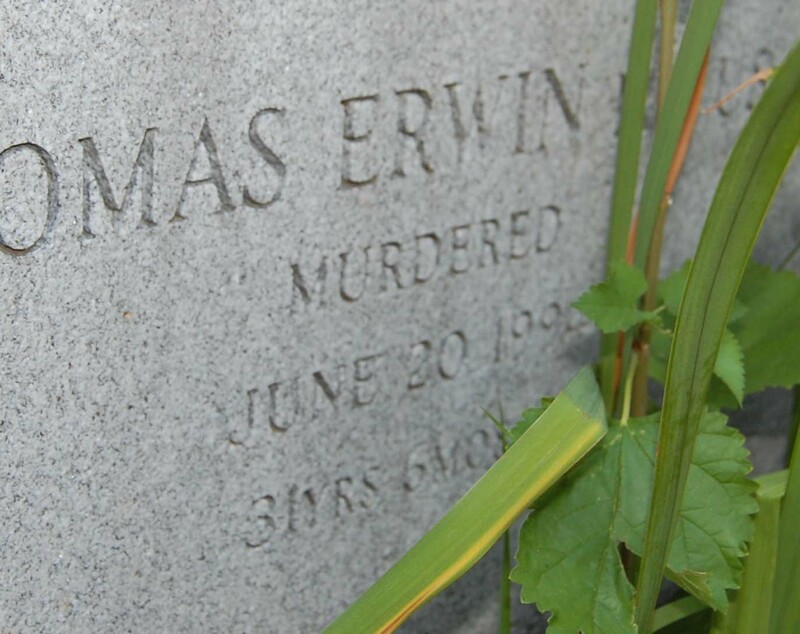 But looking deeper and following the little trail his mother has left, a more detailed picture emerges. An accomplished horseman, he spent hours riding alone in the Iowa countryside. It appears the quiet Madison didn’t make friends easily, though he was fiercely loyal to those chosen to be in his circle. And so many were loyal to him, including the people who mentored and fathered him in the absence of Thomas Brigham. Madison’s picture hangs at the start of the course. “But it still doesn’t bring him back,” Susan told the West Branch Times. 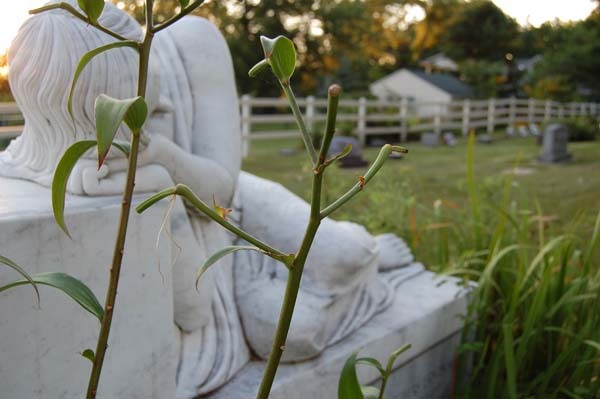 He rests with his father, and The Reclining Lady watches over their souls. your stories and photos are so interesting Hayley .. and I have this photo in my collection now, from your show ..
I’m so glad you have this photo, and that you have the story behind her, sad as it is.